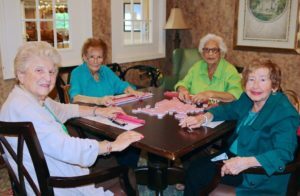 Assisted Living is designed to provide its residents with assistance with activities of daily living, supervision, meals, recreation, and housekeeping, etc. Assisted Living is intended to serve as a home for residents requiring some level of assistance and/or supervision. The Promenade communities provide assisted living services in five convenient locations in Albany, Orange and Rockland Counties. The communities included The Promenade at University Place in Albany, Promenade Chestnut Ridge in Chestnut Ridge, NY, Promenade Middletown in Middletown, NY, Promenade Tuxedo Place in Tuxedo, NY, Promenade Blue Hill in Pearl River, NY. Each of our Hudson Valley communities has a distinct flavor, yet each community is intended to appeal to a wide range of residents, having diverse interests and care needs. Promenade maintains staff 24/7 to provide residents with quality of life and assistance all their personal care needs. Promenade’s care staff consists of individuals who specialize in medication administration, and providing a helping hand for resident’s daily personal care requirements to enable such residents to thrive in a congregate setting. Promenade develops individualized service plans for its residents which are intended to conform to the unique needs of such residents. The service plans are reviewed periodically to ensure that they are optimized for the wellbeing of each resident.